Home The NewsMill Internet blockade hampers EVM tracking for officials. Internet blockade hampers EVM tracking for officials. As the internet services were suspended Thursday for the smooth conduct of first phase of Lok Sabha elections held for Baramulla constituency, the GPS tracking system- a mechanism developed by BSNL to track the EVM’s remained defunct throughout the North Kashmir. 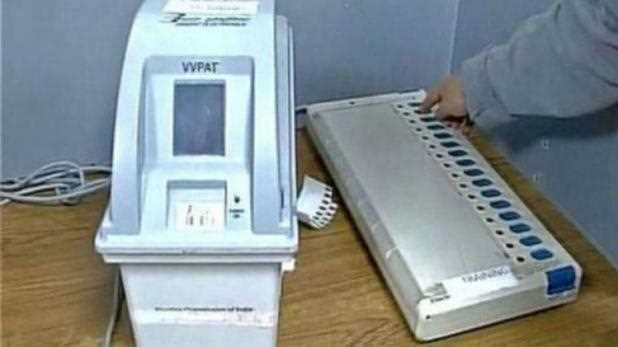 An official at Election centre Baramulla said that internet suspension created a lot of problems for the election staff at Deputy Commissioners Office Baramulla who were assigned to keep a track of Electronic Voting Machines (EVM’s), sectoral and zonal magistrates and vehicles carrying the reserve EVMs. “The GPS tracking system enables us to keep a track on the EVM’s. It provides us the exact location of the EVMs but the internet suspension in Baramulla Parliamentary Constituency created a lot of problems for us to locate the vehicles carrying EVM’s. We can retrieve the data later on, as the GPS tracking system is SIM enabled,” an official at election centre Baramulla wishing anonymity said. Internet services were suspended in whole North Kashmir from Wednesday midnight for smooth conduct of Lok Sabha polls in Baramulla constituency. An official said that the internet was suspended as a precautionary measure. The official said that SIMs and devices were availed from Bangalore within a stipulated time by BSNL officials but the SIMs were mostly of Vodafone and JIO service providers. “The GPS tracking system needs a working internet connection so as to trace the vehicles carrying EVMs,” the official said. He said that a lot of money has been wasted on this process due to the internet suspension.